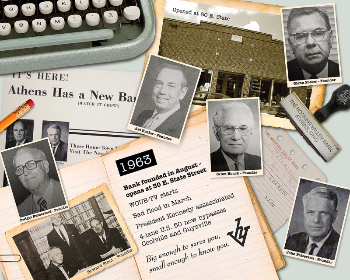 In 1963, there were no locally owned banks in Athens County. Six forward thinking area business professionals saw a need and came together to start an independent community bank based in Athens. 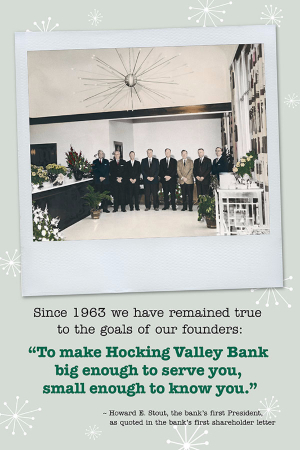 On August 12, 1963, Hocking Valley Bank opened its doors for business. More than 50 years later, we are still committed to local leadership and decision making, a devotion to the communities we serve and personalized service. 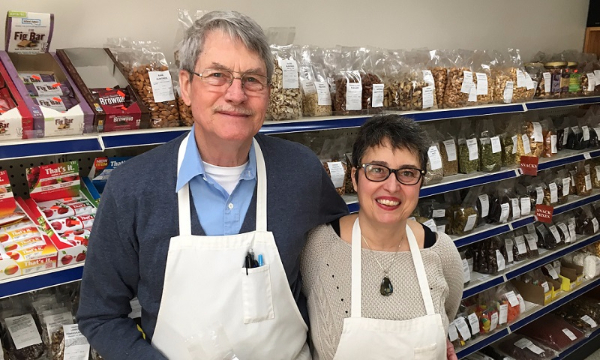 We understand the importance of helping businesses succeed to ensure Athens County is a vibrant place to live and work and remain dedicated to the vision of our founders.